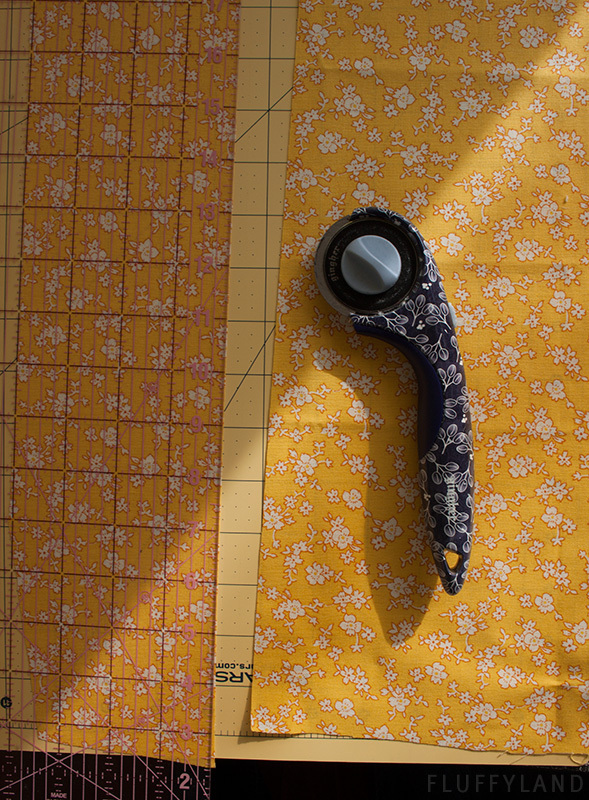 Step 1, as always: Cut your fabric. For the front, you’ll need 3 layers: the outer fabric (mine is gray); a layer of batting (i used a thin cotton quilt batting, but something thicker might be nice to add more texture); and a lining fabric to go behind the batting (this can be anything). 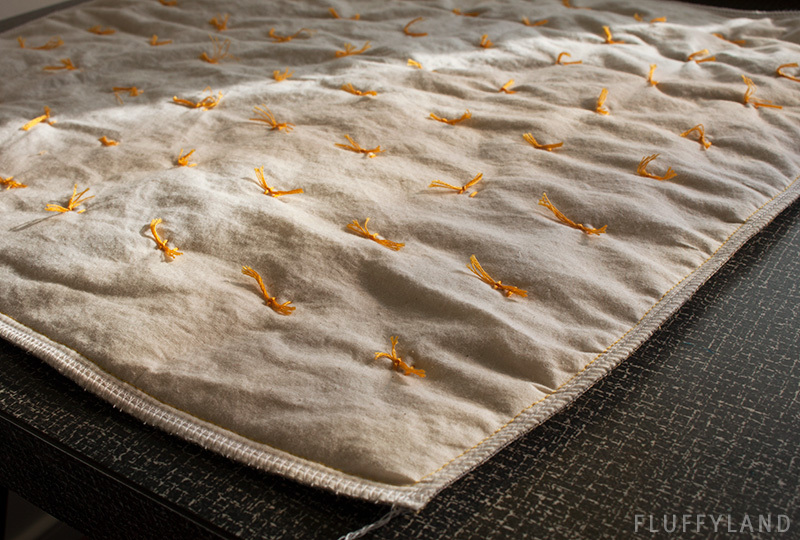 I used an 18×18″ pillow form, and when using pillow forms it’s best to cut the pieces to the exact size of the pillow form: no seam allowance! This will keep your pillow cover snug and not-lumpy. Stack your layers, right sides out, with the batting sandwiched in the middle, and baste around the outside edge to hold everything together. Sam, why aren’t your pieces square? I angled the corners of my pillow pattern to avoid the “dog-eared” corners that most throw pillows end up with. It’s simple and I think the end result looks much better. 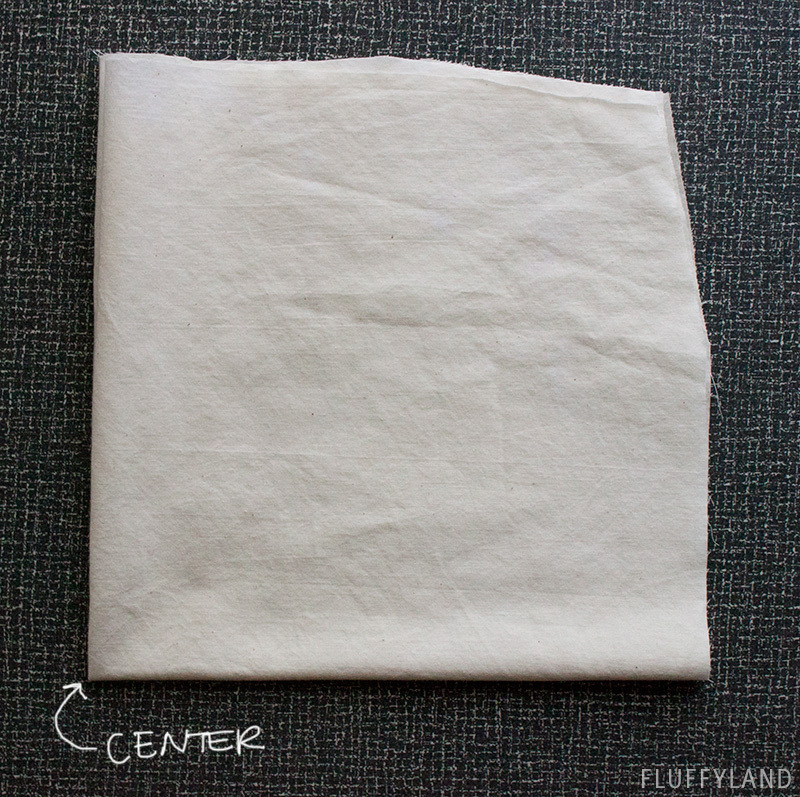 I found a good tutorial here: Perfect Pillow Corners. 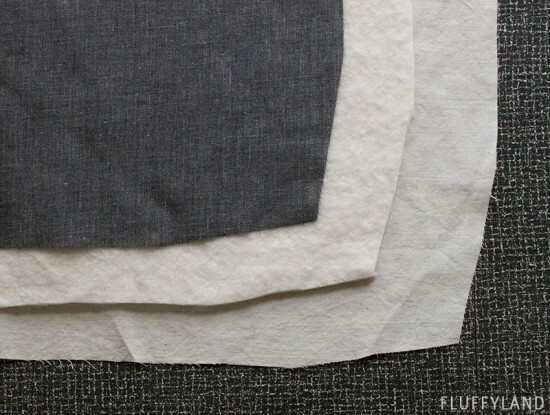 Once your layers are basted together, it’s time to establish your grid. 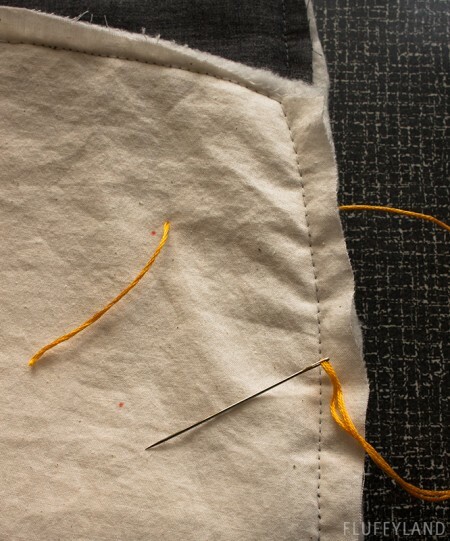 Start by folding your fabric into quarters with the lining side out, and mark the center point. Starting from the center, mark a grid of dots using a grid ruler. I placed my X’s 2 inches apart. make sure they’re centered on the pillow: for example, with a 2-inch grid, this means my first 4 X’s were each 1-inch away from the center point. I made an 8×8 grid of X’s: 64 total. This means the hard part is over! Now it’s just sitting and stitching through an episode or two of your current Netflix obsession. For the thread X’s, I used standard embroidery floss, and used all 6 strands. 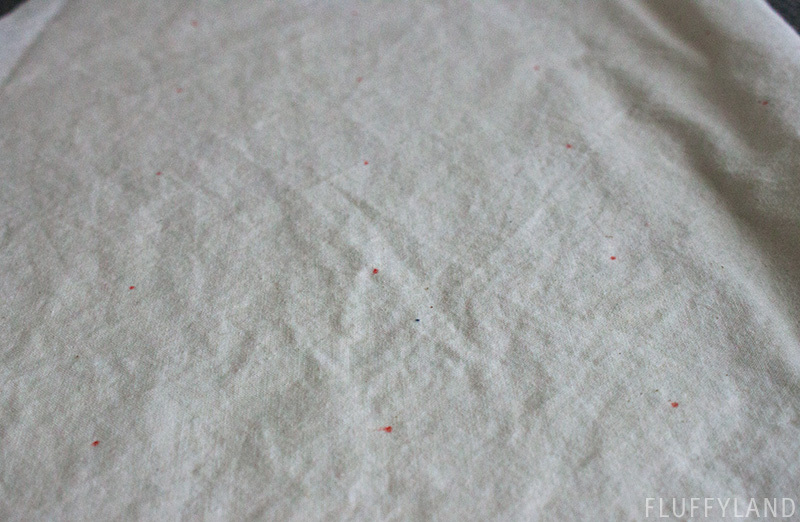 Pearl cotton would probably look even nicer. 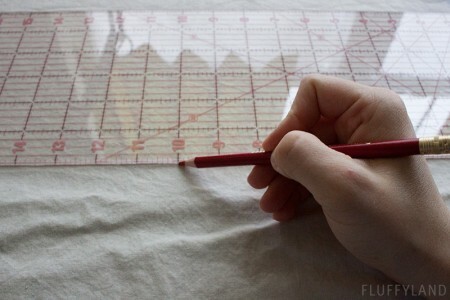 I could also see this working with crochet thread (my favorite crafting supply). I found it easiest to use a big needle for this. Make sure it’s sharp, but there’s no need for it to be small. 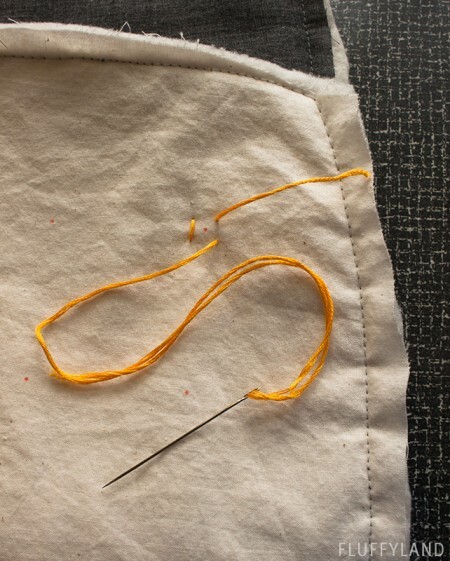 Cut yourself a length of floss around 18″ – this will get you through a few X’s. Find a dot on your grid, and stitch to the front, leaving a thread tail of 3″ or so. 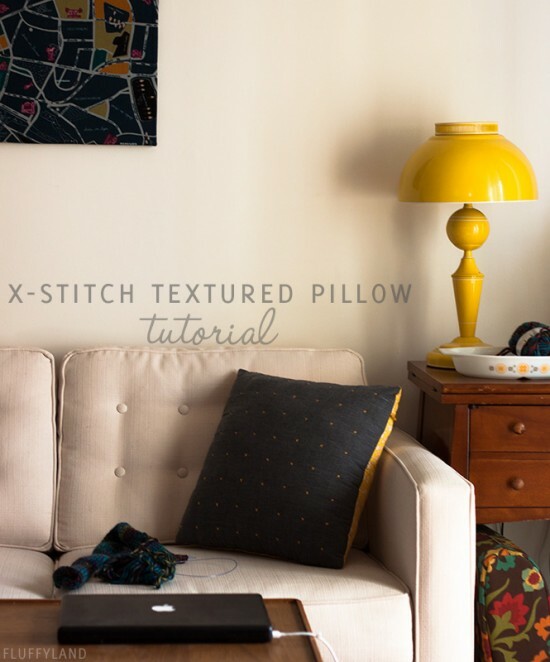 Stitch back through from the front to make the first slash of your X. I just eyeballed mine: I figure half the charm of a hand-stitched pillow is a bit of unevenness. Cross over the first slash. You’ve made your first X! 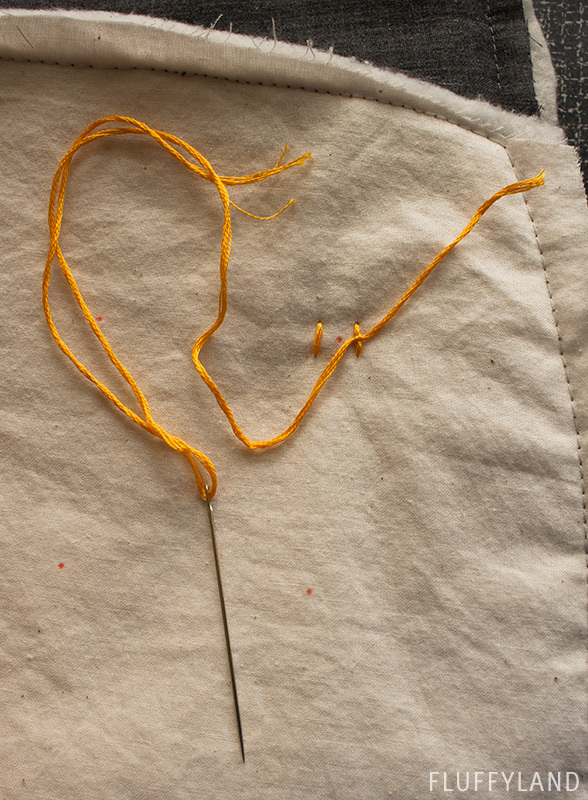 Here’s why we left a tail: it’s faster and more consistent to make the knots this way. After some relaxing sitting-and-stitching, you’ll have a nice array of X’s! 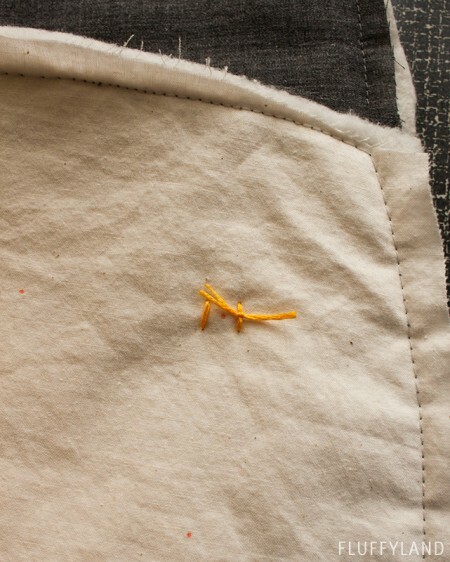 For the back, I chose to expose my zipper since I love the way it matches the golden orange of my thread. You can do a lapped zipper if you prefer. 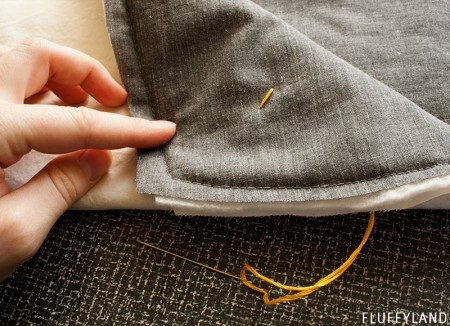 For an exposed zipper, cut your backing fabric to the same dimensions as your pillow front. 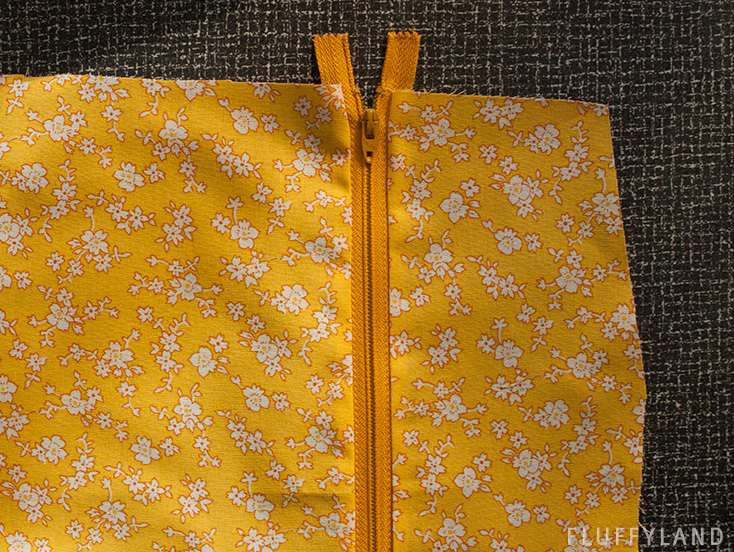 Then choose where you want your zipper to go, and cut a line. 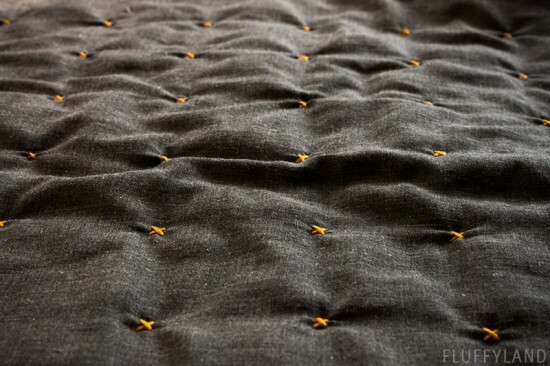 I chose to put my zipper 4″ from the top of the pillow. Stitch in the zipper right-to-right, and top-stitch if you’d like to (i didn’t). 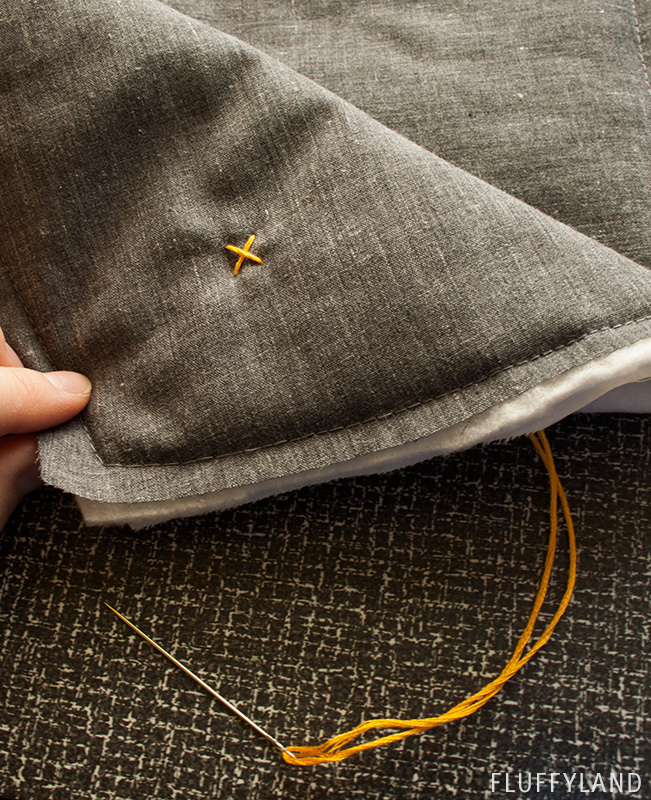 Last step: sew the backing piece right-to-right with your pillow front! I serged around the edge to keep it tidy. 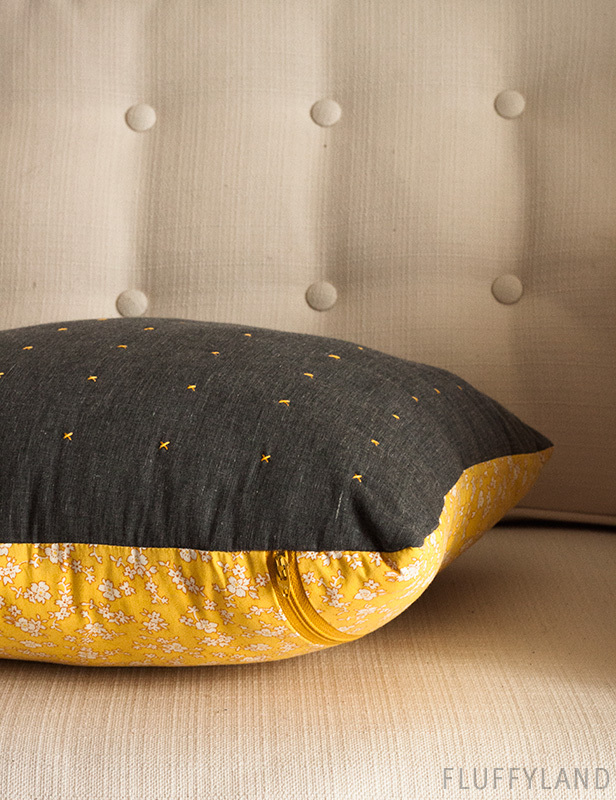 Turn the pillow cover right-side-out, throw in a pillow form, and you’re all done! Enjoy! I hope your pillow turns out as comfy as mine! PillowCubes link placement in this post was sponsored by PillowCubes.com.